Up to 50% off! 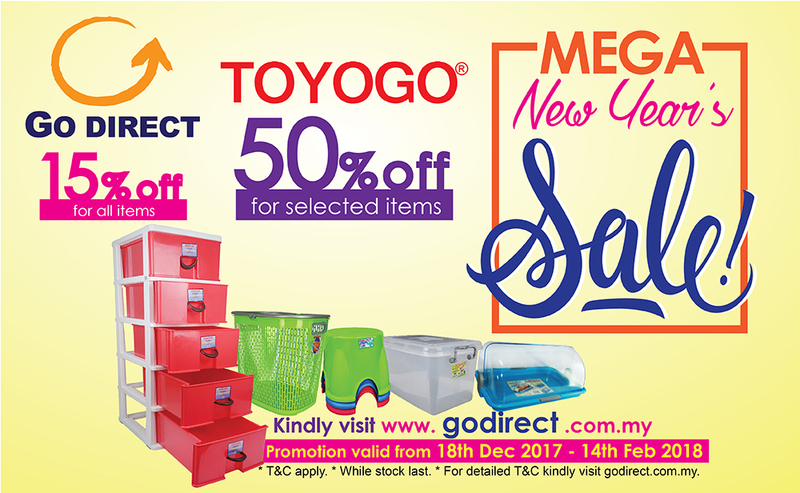 TOYOGO MEGA NEW YEAR'S SALE is BACK! 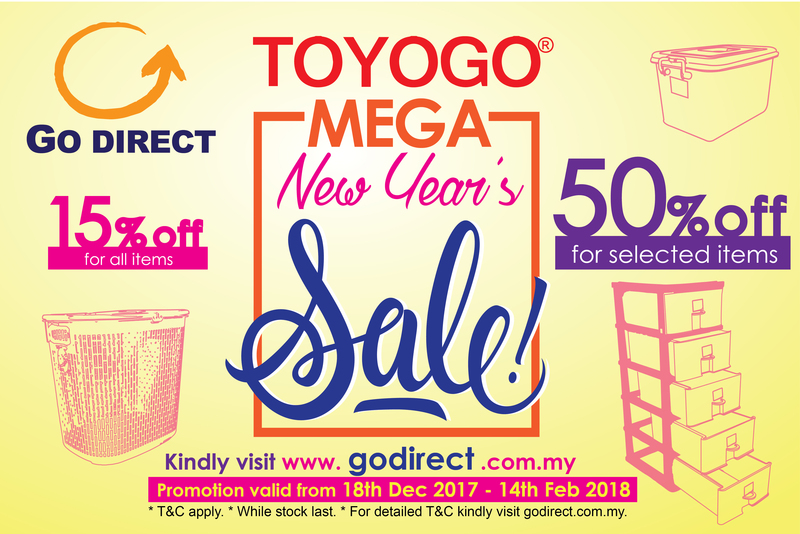 Kickstart a brand new 2018 with Go Direct Online Store! Plan to live with a better lifestyle in 2018? Go Direct Online Store can help you with that with high quality TOYOGO and CLOVER plastic household & industrial products! This new year, we are offering up to 50% off for selected products, and 15% off STOREWIDE! Yes! 15% off for ALL items! Promotion runs from 18th December 2017 till 14th February 2018! Hurry, shop now! Discounts will be reflected during checkout. Shop storage box, storage containers, storage drawers, cabinets and many more! Visit www.godirect.com.my or click here to shop now!